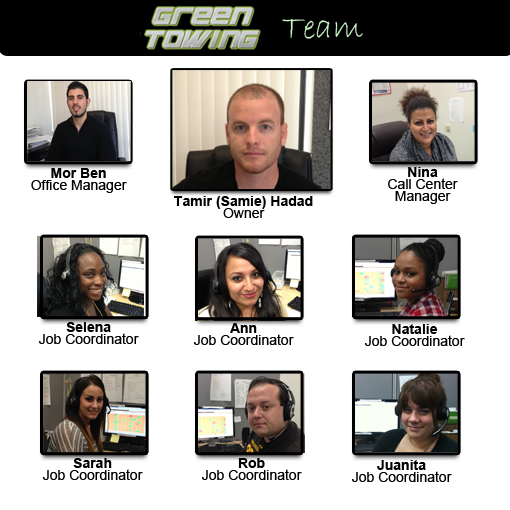 Green Towing Long Beach is subsidiary of Green Towing, a prominent roadside assistance & tow truck service providers operating across California. We also provide service in Orange County and a member of the TRAA (Towing and Recovery Association of America, INC) as well as members by CTTA (California Tow Truck Association). Our drivers are trained professionals and all have years of experience in the towing industry. Every driver strives to exceed the expectations of each of their customer. Besides our friendly and responsive 24 hour customer service staff, our tow operators have years of experience and knowledge in towing equipment and various car models and manufacturers. Our dispatchers gather information from you as the tow truck travels to your location in order to ensure that the proper measures are used in your individual situation. Unlike other Towing companies, our commitment to a 30 minute arrival response time means that a professional tow truck driver arrives at your location to assist you with whatever type of Roadside and Towing problem you may experience. To learn more about our superior service, feel free to visit our fan page on Facebook and follow us on Twitter. Here you’ll find the latest in company updates as well as coupons! Our tow truck drivers arrive in an easily identifiable company truck fully equipped to handle a wide range of roadside and Towing services! Our tow truck drivers guarantee the highest quality of work at fair and honest prices! Call our friendly customer service line, (562) 314-1801! Our tow truck drivers are standing by 24/7! Have a look at our short video that outlines not only our 24-hour locksmith services, but also how we operate and interact with our customers. We look forwards to hearing from you soon for all your Towing and roadside needs. We promise you’ll be another happy and satisfied customer of Green Towing Inc.